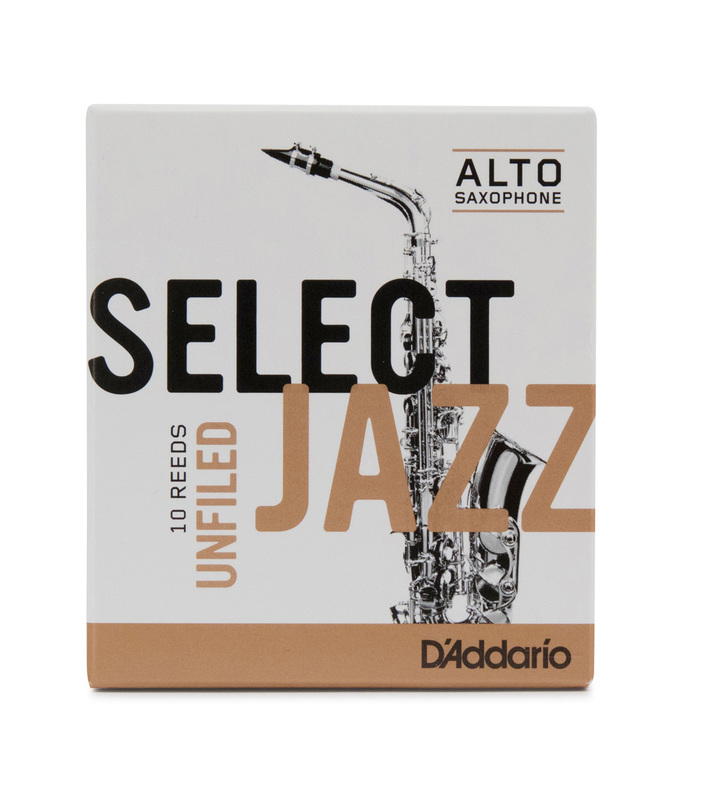 Select Jazz reeds feature the thickest spine and blank of D Addarios jazz reeds, with a traditional tip shape. The Select Jazz cut offers great projection, focus, and a vibrant sound. The unfiled reeds offered here have more cane left in the shoulders and offers a slightly more resistant and textured sound, less clinical than the filed option. Very good reeds. In every box equal quality of all. Good quality, consistent reeds. Good tone throughout range and very responsive with Dukoff mouthpiece. Used for jazz but also teaching demonstration. I use Rico Select Jazz 2S with a Vandoren V16 A6 mouthpiece to play Trad Jazz, swing and blues. It's an easy blow, so I can play for a long time. They give much better sound than Rico reeds I'd been using. Excellent jazz reeds. Been using these for around 5 years now and they have been hugely successful for me. Create a great tone and help to project the sound! I have been using strength 3S with my Dukoff X7 mouthpiece and all I can say is WOW. The reeds are responsive, easy to play and control! I find these reeds a little brighter and centered to give you that 'hit straight between the eyes' sound. I changed from using Vandoren Java a couple of years back because I found Java's to wear out quickly! I've been using these for a couple of years now after going round the usual trials with Vandoren etc. The Jazz Select seem to be more consistent and work straight from the box, quite bright and punchy, good for functions/big band etc. Not sure about filed or unfiled, personally unfiled seem more responsive to me. I use a Meyer 6 ebonite.